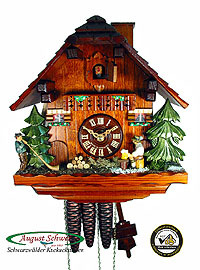 This beautiful Chalet Clock shows a typical alpine chalet scene, a beerdrinker sitting on a bench, lifting his arm with the beerglass to his mouth each time the clock strikes. 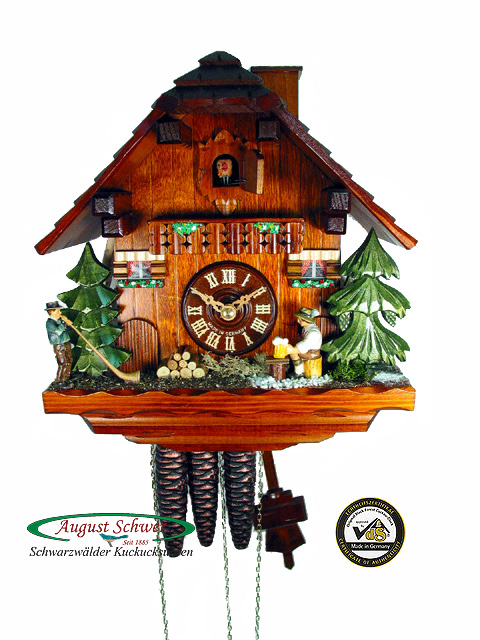 To the left of the clock is an alphorn player. There is also a chimney sweep inside the chimney, which lifts out of the chimney when the clock strikes.